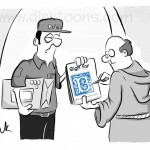 This is a rework of a gag I did a while back as a tribute to a cartoonist forum member who passed away quite suddenly. 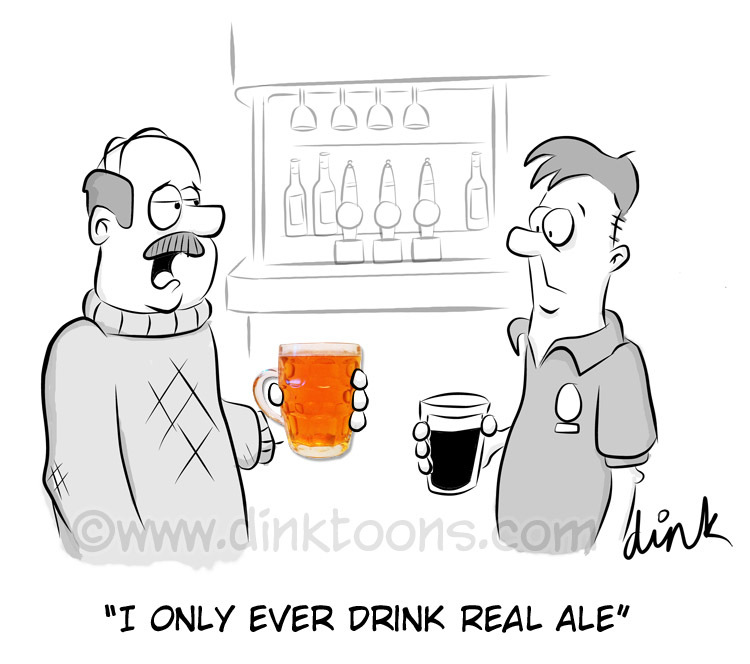 We had to produce a cartoon based on his interests, one of which was real ale. 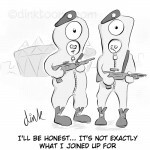 Now usually I would send you over to Cartoonstock if you wanted to use this in a publication. Unfortunately they have excluded it from their archives as it appears to contain copyrighted material (the image of the beer). I can assure you dear reader that not only did I take that photograph myself, I then drank the pint in question! Oh well, I can completely understand their policy in this litigious age. So in this case… if you would like to use this for your magazine, newsletter, presentation or blog you will have to contact me direct.. or just get me a drink.